The default mode for any athlete involves movement, exercise and practice: action. Getting up and training the body is just what they do, it defines them and it can become the routine that gets them through the day. Training fulfils the basic function of furnishing the athlete’s day in a working sense, but the physical sensation it provides is as necessary to the full-time athlete as food and water. If they are unable to express that persuasion, it can become a deeper problem – however enticing sofas and box-sets may seem. Perhaps we can all relate to that feeling at the end of a holiday. Laden by rest, over-indulgence and lack of routine, we are compelled to get back on the horse. The pleasure is only satisfying when juxtaposed against the displeasure. “I am one of those people who feels I need to be active to be happy. 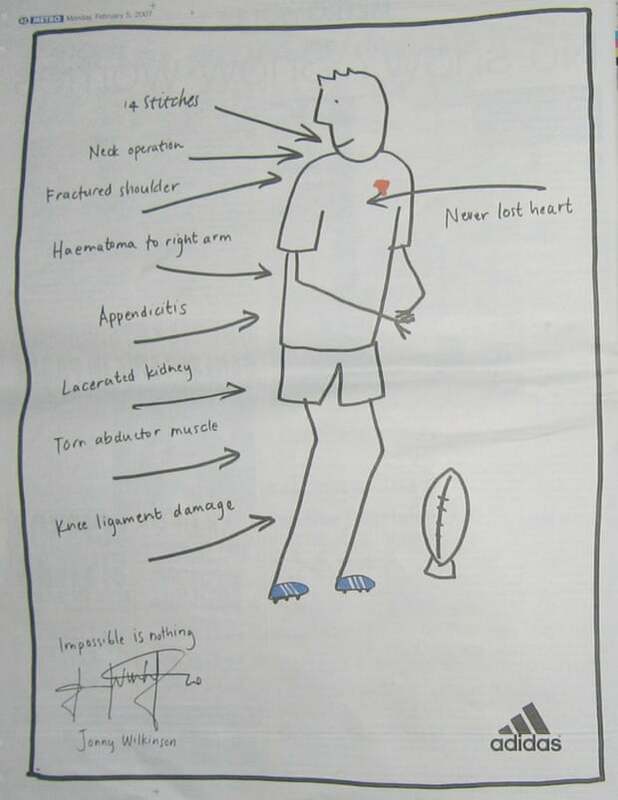 Being injured and able to do so little, I really struggled to relax.” These are the words of one of England’s iconic sportsmen, Jonny Wilkinson, writing in his book Tackling Life, describing his reaction to the many injuries he had as a player. Many will remember his outrageous consistency as a kicker, his subtle playmaking, tough-as-boots tackling and his ferocious methods of preparation. It is easy to forget just how much he was injured. Back in September I had eight weeks on crutches after a hip arthroscopy and within a day or two of the operation I knew lying about on sofas all day was never going to cut it. So I gave myself little assignments and things to achieve, outside of the sport, of course. There had to be things to achieve, however menial, so I can completely relate to the sentiments of Jonny and Ramy. Being a little older, perhaps I was in a better position to deal with the break. My age helped me to know that I was ready for this rest. At 31, I’ve had a long career balancing mental and physical extremes that are not so pronounced in many lifestyles. I was knackered from it and was glad to forget the tough training, the travel, the big matches and just to let life happen. It might have been more difficult as a voracious 24-year-old. I began doing exercises three or four days after the operation. Because it’s my work, I have time to dedicate to the rehab exercises; I completely understand that non-professional athletes going in for surgery struggle to give quite the same amount of time to the process. I always advise busy amateur players who ask for advice about their injuries to get themselves good treatment, a good rehab programme (or “pre-hab” – a term athletes and physios use for exercise programmes within their daily routines designed to prevent injuries before they start) and try to find some time, however little, to do pilates or yoga regularly. Initially, firing the quads and glutes in the first week while sitting was about the extent of it; I used a compex machine, which sends some electricity into the muscles. You can do that in the evenings while watching Downton Abbey and eating toast. It’s not quite a replacement for those punishing court sessions, but at this point it suffices. In the second and third weeks, I began to fire the core consistently. The Swiss ball is a convenient prop for advancing the abs work. Week three I was in the pool and moving my leg about very gently in the water. My first taster of an elevated heart- beat in three weeks came from upper-body swimming: no legs, with a float. The main problem with these pool sessions, I began to realise, was trying not to fall flat on my arse on the slippy changing room floor naked. The potential embarrassment was not a great thought. In weeks three to six I progressed the core work further and the exercises were now more advanced and varied. Most of it could still be done on the floor of the living room, but I was starting to get to the gym more. I started to put my energies into my upper body. I made sure that I was improving personal bests on the press-ups and chin-ups, gleaming a slight hint of musculature from the upper half for once in my life. I hoped I could stop myself from turning into one of those gym monsters with the vests who stand in front of mirrors staring at their own biceps and quaffing protein shakes, but luckily I was allowed to get on the bike by week seven so I had no time to discover that streak of vanity by experimenting any further with my top half. Around the eight-week mark I woke up unable to move, in dire pain with the hip. Looking back, it must have been the result of a viral infection; somehow this flared the hip up. I lost perspective and panicked that this was end of everything, of course, as you do. The hip settled again, as Ali assured me it would, when the infection did. Just after this my recovery was precipitated when it became clear my one-year-old son and I were now fighting a duel to the death to see who would walk first. Vanessa, his mother, had to watch two hobbling, wobbling juveniles repeatedly fall over, get up, cry and plead for food and clothing, which must have felt like pulling teeth. I won the duel. Nine weeks in, I was walking. It was now time to hit squash balls. By 12 weeks I was bringing in the squash-specific movement and strengthening again: a steady increase in leg-work and impact. Every session, every new exercise was another tentative step. At this point my eyes were half open and I just hoped for the best. By 14 weeks I was thinking about moving on a court. My strength coach Mark Campbell, a Yorkshire League squash player, decided to play me first at my most vulnerable, on 29 December 2014. It enabled him to see where I stood in terms of the first projected tournament in New York in January. Things went pretty well. I played a couple of games in with my sparring partner, Chris Simpson, who helped me along, but it was all too late for me to make New York. So, by early February, with trepidation and excitement, I travelled to Linkoping for the Swedish Open. 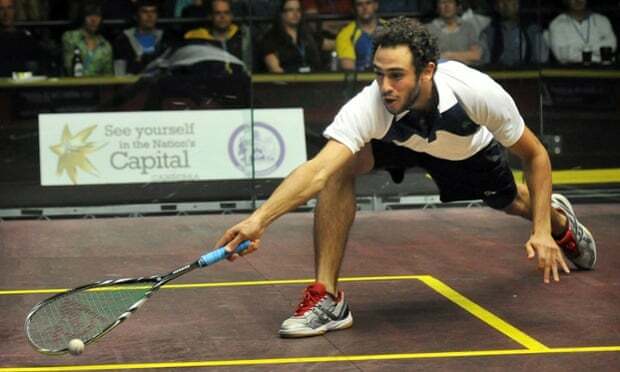 I’m hoping the end of the recovery will be positive, as it often hasn’t been for Ramy and Jonny.